Set 8744 Oohnorak is a canister set released in late 2005, portraying the Visorak Oohnorak. While the numbing power of its Rhotuka spinner is effective against foes, the Oohnorak's true power lies in its trickery. Using limited telepathy and a talent for mimicry, Oohnorak can duplicate the voices of trusted friends and lure an enemy into a trap. *Includes building instructions to combine with #8742 Vohtarak to make Gate Guardian! 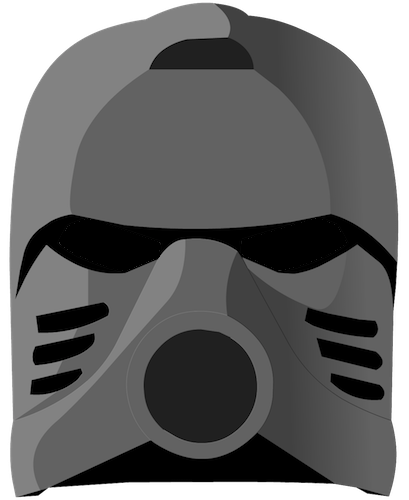 The Oohnorak set was released as one of six Visorak sets in late 2005, and contains forty-seven pieces. By combining parts of Oohnorak with 8742 Vohtarak and 8746 Keelerak, one can create the Parakrekks; Vohtarak and Oohnorak alone can be combined to create the Gate Guardian. Oohnorak can also be combined with all five other Visorak sets in order to create the Zivon. A Rhotuka spinner can be launched from Oohnorak's back by using a ripcord included with the set. Oohnorak's mandibles will pinch together if the set's torso is squeezed. This page was last edited on 19 April 2019, at 05:48.